It's a Mom Thing Reviews & More! 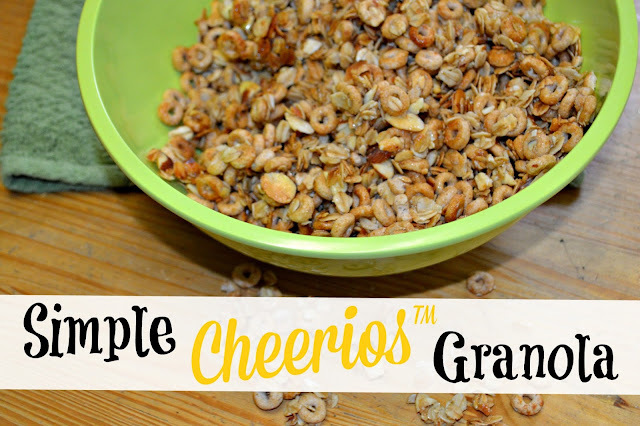 : Simple Cheerios™ Granola Recipe! One of my favorite things growing up was spending the weekends with my grandparents. My father passed away when I was very young but I was lucky enough to get to know how wonderful he was through spending each weekend with his parents. 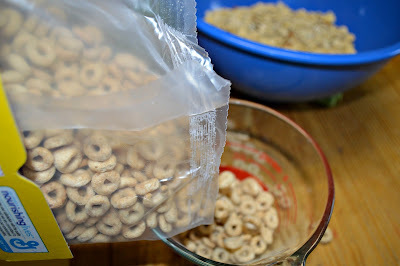 Whenever my grandfather and I went grocery shopping on Sundays he would let me pick my favorite cereal, and every time it would be a different variety of Cheerios™. Saturday mornings after my grandparents and I woke up we would enjoy those Cheerios™ together and spend the morning talking and joking. Those moments are by far some of my favorite childhood memories, and Cheerios™ were a big part of them. My favorite way to eat Cheerios™ is by the handful as a snack, but of course I love them in a bowl with milk too! I have found so many unique ways to use Cheerios™ too! Some ways include breakfast bars, energy bites, and even granola! 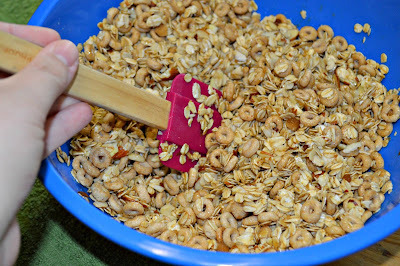 Below is my recipe for Simple Cheerios™ Granola! This granola takes minimal time, doesn't use too many ingredients, and is super tasty! Preheat oven to 350 degrees. 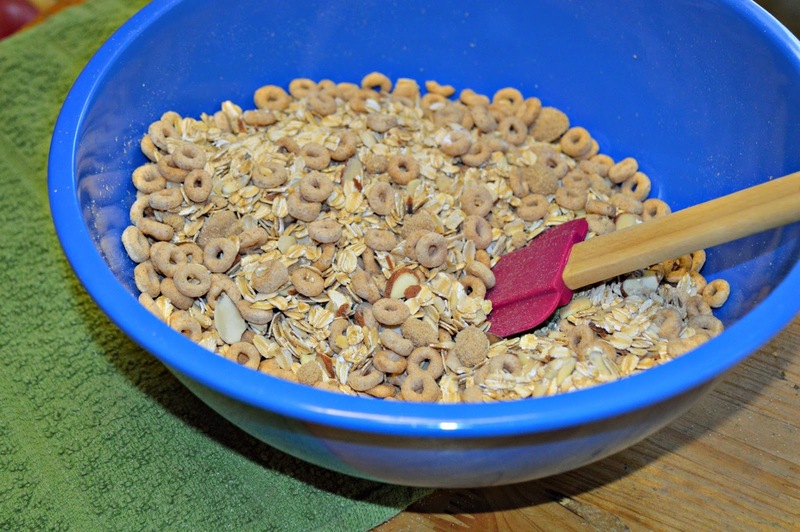 In a large bowl combine Cheerios™, almonds, oats, salt, and brown sugar. In a microwaveable bowl heat coconut oil and honey for 30 seconds, then add vanilla extract and stir. Pour the honey mixture over the Cheerios™ mixture and stir until evenly coated. 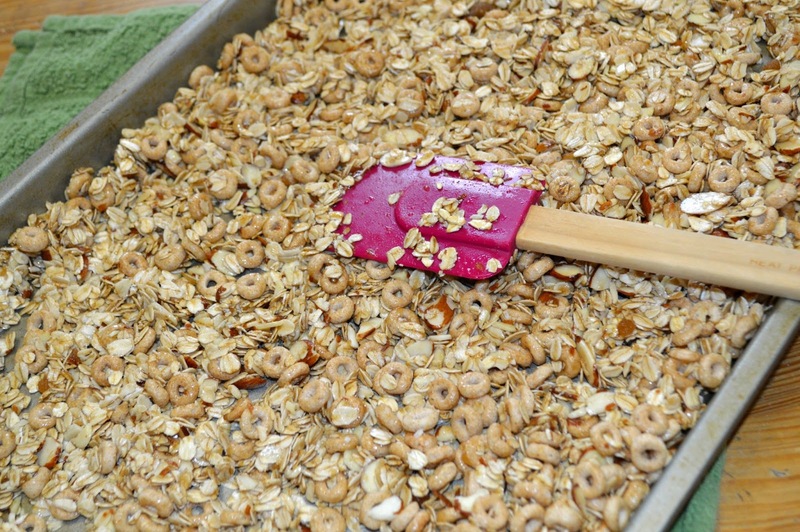 Pour the oats evenly onto a baking sheet and bake for 5 minutes. 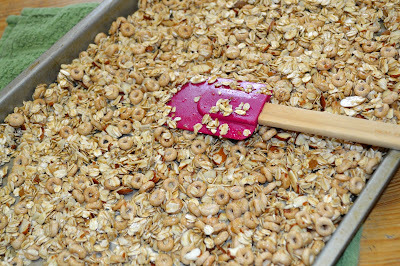 Remove the tray and mix oats around, then bake for an additional 5 minutes. After the granola has cooled completely break into clusters and store it in an airtight container. This granola is perfect for breakfast, as a snack, and way more! 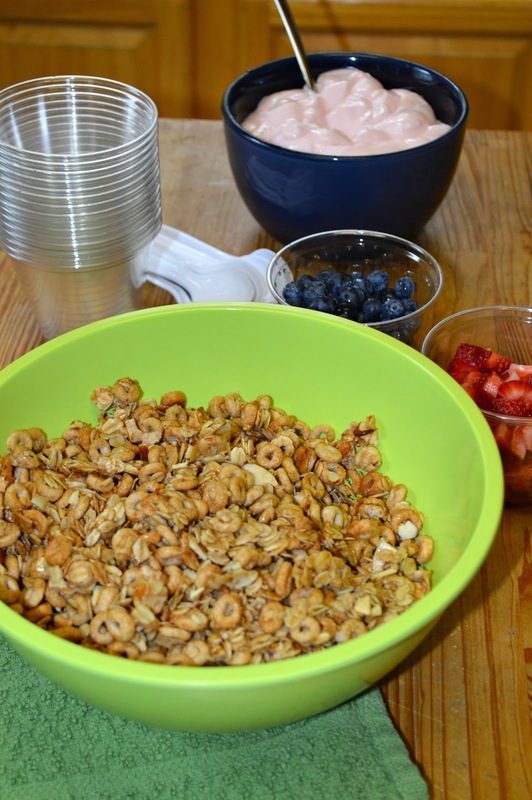 We love using this Cheerios™ Granola in parfaits! 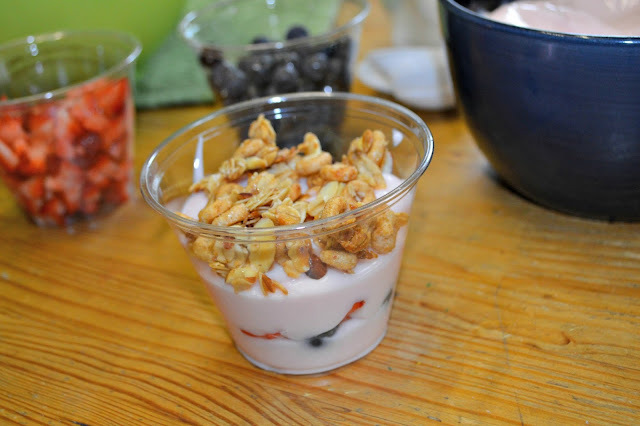 We combine our favorite type of yogurt, fruit, ad then top it off with granola and have a tasty treat for anytime! I don't buy Cheerios that often but it was always the first cereal that I got whenever my kids started eating finger foods. I love a granola bars so will be giving your recipe a try.